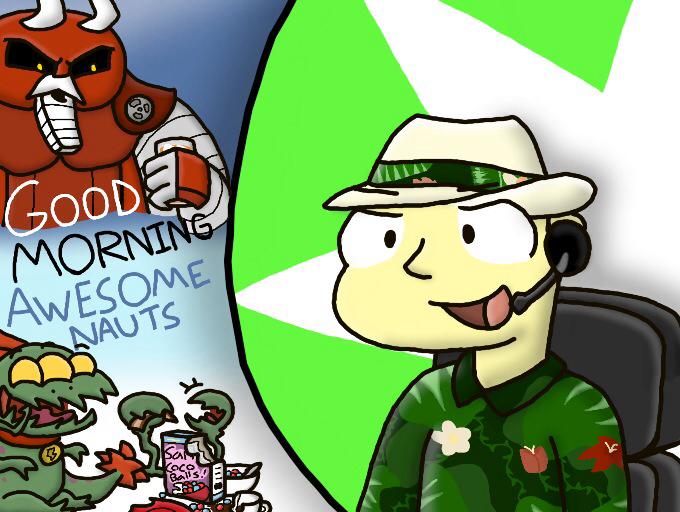 Should Good Morning Awesomenauts Start Later? Hi everyone, you’ve been watching Good Morning Awesomenauts right? Of course you have. Right now we start at 7A and go to 8A, more or less. Would you like the show to start a bit later? I really want to know what viewers think so please vote on the poll below and I’ll take a look at the results and make a decision. This entry was posted in Livestream and tagged Awesomenauts, Good Morning Awesomenauts, Justin.tv, MOBA, Pictures, Ronimo, Ronimo Games, twitch, twitch tv, video, Video Games. Bookmark the permalink.